Does your home feel tiny and boxed in? Do you need to get it all organised so that it looks less like you live in a hole in the wall and more like you're actually trying to be a functioning adult? We have some helpful hints. 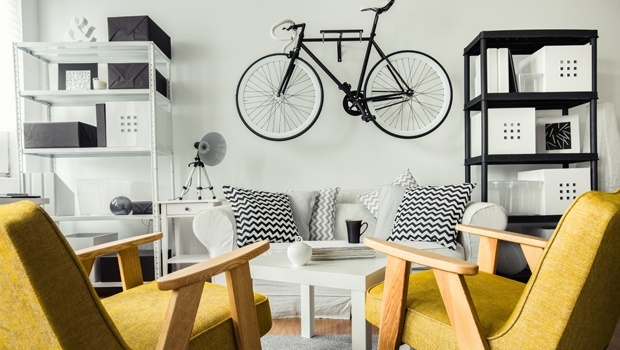 You don't have to be like Japanese organising consultant Marie Kondo (seriously, she has a special way to fold everything and says thank you to her shoes after she's worn them) to have a more organised and spacious home. Whether you’re living in a tiny apartment where you really need to make the best of a small space, or just want to have less clutter, these storage solutions will help you organise your space and give you a little extra wiggle room from your bedroom to the bathroom. These are ideal if your closet is tiny and you really need to free up some space or you just bought too many dresses during the last Spree sale. They're really amazing and can hold up to 5 hangers or 7kg of clothing. Buy one here. Have lots of scarves or belts you don’t want to get rid of? Try this really cool trick with binder clips. 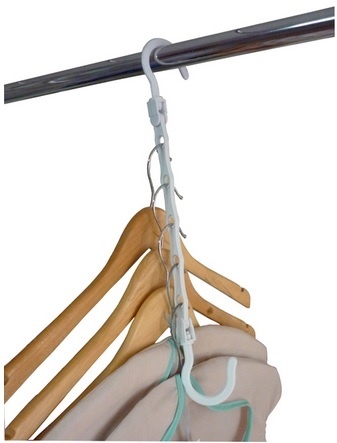 Simply hang a few of your favourite scarves on a few different hangers and clip them all together with binder clips. You’ll save space AND it’ll look really cool. 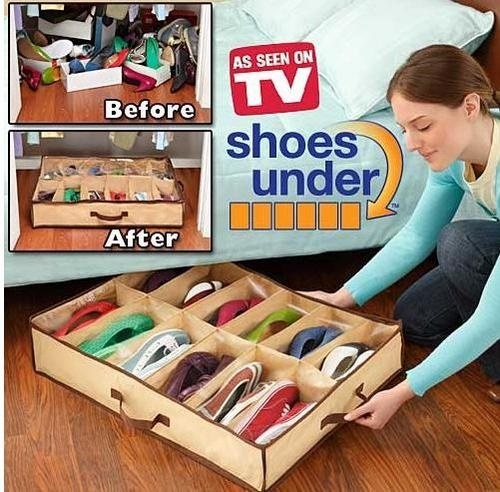 Get this handy product called the Shoes Under where you can store your shoes in pairs under your bed. You can paint them fun colours, cover them with washi tape (cute decorated tape used for crafts and décor) and hang them on the wall. See how here. Have lots of papers or odds and ends you want to keep, but don’t have much space? Place them in boxes and use the space above your cabinets instead. Get some jars, paint their lids with blackboard paint and write the names of the spices they contain on the lid. Get a handy rack like this one that can do both, or make your own for just your glasses. And then hang baskets on it so you can store all your odds and ends. Separate your products by use into containers, throw or give away anything you don’t need, and store under the sink or on a shelf. Store your towels and toilet paper in basket that are pretty but functional too. Would you pay a housewife R600 000 a year? Is your husband the reason you have 7 extra hours of chores a week?